When it comes to budgeting for things you need to buy, the holidays are no exception. Use Manilla.com to get a complete picture of your finances and see what you can afford. 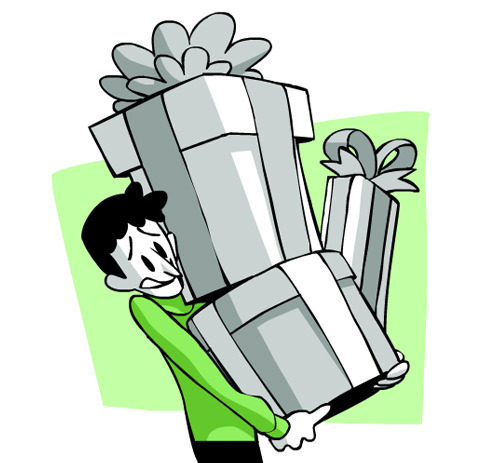 After subtracting your monthly expenses from your monthly income, how much leftover will you have to spend on gifts? Once you determine that number, make a list of everyone you want to shop for and how much you want to spend on each person. Does your budget allow for it? If not, see if there are areas where you can cut back on spending (e.g., maybe you forgo your weekend shopping trips this month, or pack your lunch every day for two weeks to save money on dining out). These days, there are so many deal and coupon sites out there that there’s absolutely no reason to pay full price for your gifts. For major discounts on electronics, toys, apparel, and more, check daily deals sites, such as Groupon, Living Social, Gilt.com, DailySteals.com, Yipit, Thrillist, DailyCandy and Bloomspot. If you’ve found something you love on a specific retailer site, do a quick Internet search to see if a daily deal site an offer going on for that brand. For example, let’s say you’re shopping on Brookstone.com for a gift for a family or friend. A quick Internet search would show you that Groupon has a deal going on — $25 for $50 worth of merchandise. This would allow you to get more for your money or buy two gifts for the price of one! Sign up for retailer newsletters, which will often alert you of the latest deals going on at the stores or online. Follow your favorite brands on social media platforms, like Facebook and Twitter, because many times, especially during the holidays, retailers will post deals, discounts and other promotions going on that can help you save money on your gifts. If you can’t find a daily deal but you’ve been eyeing something on a specific website, check discount sites, such as retailmenot.com and coupons.com, which have endless coupon codes that will shave off a percentage of what you’d end up spending on a full-price item. Also, consider shopping through cash-back sites, such as TopCashback.com or FatWallet.com, which give you cash back for buying gifts through their sites.